The monsters are back... and they're hungry! The ravenous, rapacious creatures of Feast have returned, and this time they're taking on an entire town. In the aftermath of the slaughter that saw a family of grotesque monsters attacking a bar in a middle-American backwater, four survivors made it out alive. Fleeing the blood-soaked bar, they make it to a small neighbouring town where a new batch of monster-bait is dealing with their own p..
From executive producers Wes Craven, Ben Affleck, Matt Damon and Chris Moore comes the incredible horror extravaganza Feast. 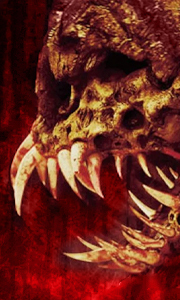 When a motley crew of strangers find themselves trapped in an isolated tavern, they must band together in a battle for survival against a family of flesh-hungry creatures. Terrifying and full of surprises, Feast turns the screen blood red as the group is devoured one-by-one. Directed by John Gulager, the ensemble ..